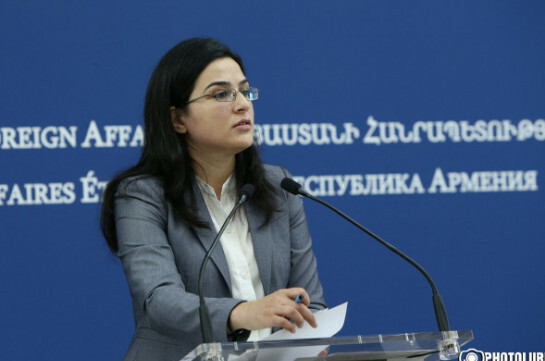 Armenia’s Foreign Affairs Ministry has taken note of the statement of the U.S. Department of State about Armenia’s humanitarian mission in Syria, spokesperson of the MFA Anna Naghdalyan stated. “We took note of the statement by the US Department of State in connection with the deployment of the Armenian Humanitarian Mission to Syria (AHM). Armenia and US have long worked together to address the current humanitarian catastrophe in Syria with its massive refugee and displacement crises. throughout the Syrian conflict the plight of civilians, minorities, including the sizable Syrian-Armenian community has consistently been a priority concern for the Armenian people worldwide,” the spokesperson said. She stressed that the Armenian public opinion strongly reflects deep compassion and concern for the sufferings of civilians and the devastation of the country. “We speak about a country which has had an indispensable contribution to the survival of the Armenian nation in the wake of the Armenian Genocide. 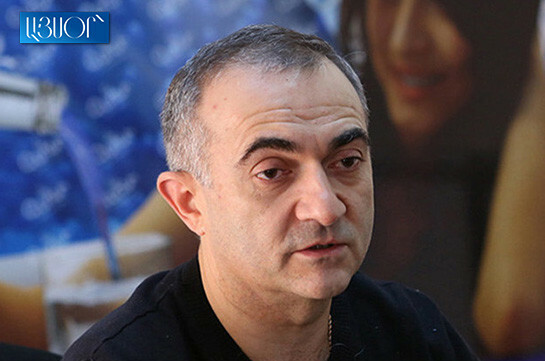 The Armenian Consul General has never stopped operating throughout the crisis. To date Armenia has sheltered around 22000 Syrian refugees and has dispatched 4 airplanes of humanitarian aid to the Syrian people. With the establishment of a relative normalcy and security, Armenia is now keen to continue its contribution to the humanitarian mission, including by providing doctors and humanitarian sappers, to help improve the livelihoods of civilians in the conflict-torn Aleppo,” Naghdalyan said. She stressed that AHM is a purely relief mission guided by the International Humanitarian Law and coordinates its work with the relief agencies and international partners present on the ground. "We share the concerns of the international community with regard to the plight of the ethnic and religious minorities in the Middle East and attach importance to the continued provision of humanitarian support in Syria,” Naghdalyan noted. Earlier the U.S. Embassy in Armenia has provided to Aysor.am the response of the U.S. Department of State asked about its position on Armenia’s mission in Syria.